BOSTON, Mass.—June 8, 2015— GEI Consultants, Inc., one of the nation’s leading firms for geotechnical, environmental, water resources, and ecological science and engineering, announced today that the company has expanded staff and client services with the hiring of three employees in the coastal practice. 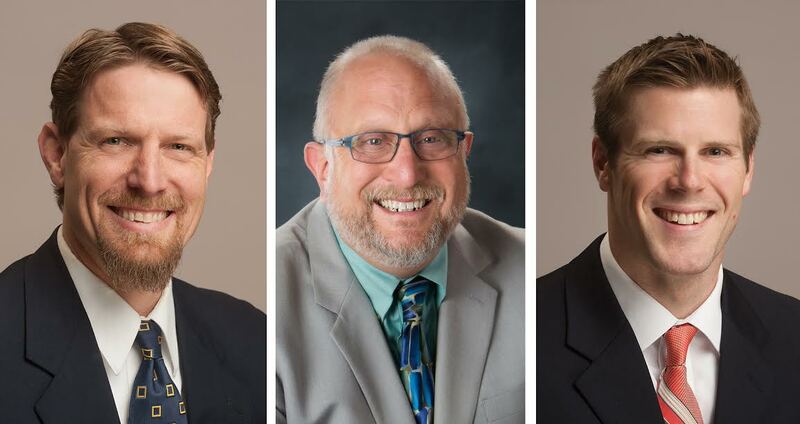 Sam Merrill, Ph.D., Jonathan Lockman, AICP, and Alexander Gray have joined the firm from Catalysis Adaptation Partners, a consulting firm founded by Dr. Merrill in 2012. The team has deep experience in science, finance, policy, and planning for sea level rise, coastal hazards, inland flooding, and extreme weather events. This collaboration will provide an array of climate and coastal hazard adaptation-related services to GEI’s clients, including vulnerability assessments, inundation mapping and visualization, economic impact evaluation, adaptation strategy development and implementation, benefit-cost analysis of candidate adaptation actions, planning process analysis, policy revision assistance, and consensus building support. All three employees are based on the east coast and they will be working on water management projects across the US. Dr. Sam Merrill is a Senior Practice Leader in GEI’s Portland, ME office, with over 20 years of experience at the interface of local community needs, managed landscapes, and sensitive natural resources. As one of the founders of Catalysis Adaptation Partners, he has been the principal force behind development of the COastal Adaptation to Sea level rise Tool (COAST) to provide clients with benefit-cost analysis for adaptation actions they might undertake in response to the combined threats of sea level rise and storm surge. From 2001 – 2013, Dr. Merrill served as Director of the US EPA’s New England Environmental Finance Center and Associate Research Professor at the Muskie School of Public Service, University of Southern Maine. He has published over 20 peer-reviewed articles and over 60 agency technical reports, and has received many awards for his work – including in 2000 a military medal for distinguished public service, the highest honorary award presented by to private citizens by the US Department of Defense; an Environmental Merit Award from the US EPA in 2014; and most recently a 2015 Visionary Award from the Gulf of Maine Council. He holds a BA in Zoology from the University of Maine, and both a MS in Conservation Biology and PhD in Wildlife Conservation from the University of Minnesota. Mr. Johnathan Lockman, a Senior Project Manager in GEI’s Montclair, NJ office, has 30 years experience as an expert in municipal coastal planning, municipal codes, town and city management, and in land use, transportation and capital improvement planning. As the former vice president of Catalysis Adaptation Partners, Mr. Lockman has utilized the COAST software tool and approach to perform sea level rise and storm surge vulnerability analysis, as well as benefit-cost analyses of adaptation strategies for state agencies and municipalities. He was appointed to a panel at the National Academy of Sciences Transportation Research Board, supervising research on extreme weather events and their effects on State Departments of Transportation. Mr. Lockman holds a BS in Science and Environmental Education from Cornell University and a MURP from the University of North Carolina, Chapel Hill, and has been certified by the American Institute of Certified Planners since 1988. Mr. Alexander Gray is an Adaptation Specialist/GIS Analyst in GEI’s Portland, ME office. Prior to coming to GEI, Mr. Gray was an essential member of the Catalysis Adaptation Partners team, using his GIS analytic skills to build models to assist municipalities and community organizations in understanding their vulnerabilities under storm surge and sea level rise conditions. He has assisted in research grant authorship as well as other potential partnership events for future projects and relationships, and his research in coastal community vulnerabilities was cited in the Northeast Chapter of the 2014 National Climate Assessment report. Mr. Gray earned a BA in Environmental Studies from Connecticut College and an MS in Ecology and Environmental Sciences from the University of Maine. GEI services clients across the country from 36 offices nationwide. The company was ranked #107 on the 2015 ENR Top 500 Design Firms list, having risen 15 positions since 2013 and 163 positions since 2007, and ranked #79 on ENR’s 2015 Top 100 Pure Designers list, up 10 positions from #89 in 2014. GEI’s multi-disciplined team of engineers and scientists deliver integrated water resources, environmental, ecological, and geotechnical engineering solutions to diverse clientele nationwide. The firm has provided a broad range of consulting and engineering services on over 35,000 projects in 50 states and 22 countries. For more information, please visit www.geiconsultants.com.